From the summit of Byers Peak near Fraser, Colorado, this is the view of the surrounding Fraser Valley on a cool, very still July morning. 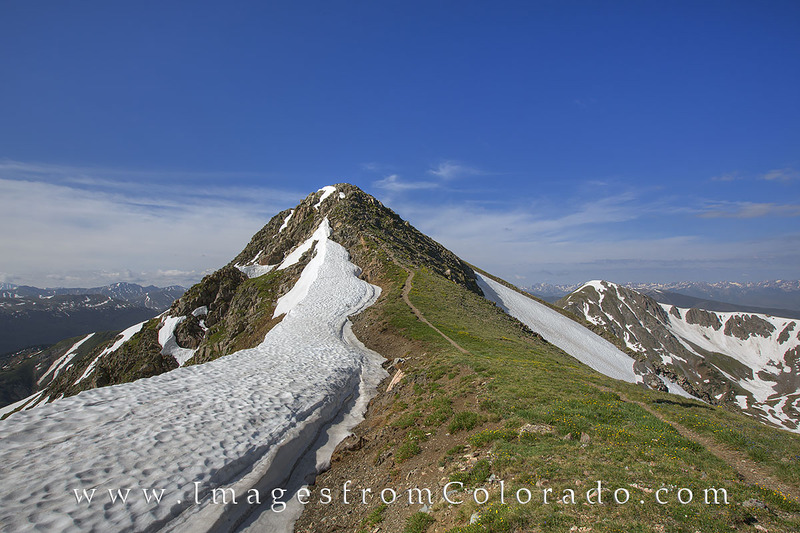 This peak rises to nearly 13,000 feet, but not quite. Still, it is 3,000 vertical feet and makes for a nice morning trek. Photo © copyright by Rob Greebon.